Our law firm handles serious injury and wrongful death lawsuits against Genesis Healthcare in the state of Maryland. This page discusses the company and looks at medical negligence cases against it. Genesis HealthCare operates hundreds of rehabilitation, nursing, and long-term care services in almost every state in the continental U.S. This company grew into a powerhouse out of nowhere. Back in 1985, it had nine nursing homes. As the mega nursing home model developed, so did Genesis. Today, it has 50,000 employees. It is worth over $30 billion and is the nation's largest provider. In Maryland, it has what appears to be almost 40 different nursing homes. Eight of these are in Baltimore. The others are scattered throughout the state. One more 2016 lawsuit in Maryland against Genesis. Do you see a trend? Another lawsuit against filed in Rockville against a Genesis facility that involved a fall that led to a fractured neck. Maryland is a big state for Genesis Healthcare. Our small state is second in contributions received by their political action committee. Who is the actual owner of your local Genesis nursing home? These entities are structured through an intricate maze of holding companies and limited liability corporations owned by various investors. This is no hospital-like non-profit. The goal for this business is to make as much money as it possibly can for its owners and shareholders. Does this goal sometimes conflict with patient care? Of course it does. Below is a list of partial list of lawsuits filed against Genesis in Maryland and the allegations, if available. You can click on the links for a complete analysis of the claim for some of these cases. Most of these lawsuits against Genesis are filed with little or no pre-trial settlement talks. Why? Genesis typically wants to find out more about the case. The only meaningful way to do this is to let the plaintiff file suit and conduct discovery. 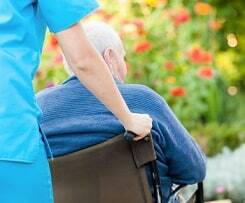 This gives the nursing home a chance to assess the settlement value of the claim. Unlike Manor Care, Genesis Healthcare does not inundate us with their brand name, downplaying the Genesis umbrella (at least in Maryland). If you do a SDAT search of individual Genesis nursing homes, they have their incorporated entities for each particular center. From a marketing perspective, I think it helps them deflect media attention when a reporter decides to run the "nursing homes are awful" stories that come out occasionally that leave everyone aghast for 20 minutes before continuing with their days unaffected (which is why the nursing home crisis in the country continues unabated). So when someone sues a Genesis nursing home in, let's say, Severna Park, they might just sue the Severna Park Center as opposed to Genesis. Why is this important? If you are suing Genesis Healthcare, you want to get your suit filed long in advance of the statute of limitations. Why? In what appears to be a by-product of this psychology, Genesis has a complicated web of companies with subsidiaries that are unbelievably Enron-like confusing. Catonsville Meridian Limited Partnership, a Maryland corporation that owned the property that is located on West Road in Towson. Genesis Health Ventures, Inc., a Pennsylvania corporation, was the father of it all. No one is suggesting that Genesis sets up these schemes to avoid liability or service of process in nursing home cases. But you want to get your case filed in advance of the statute of limitations so you can make sure all is square. Typically, Genesis will just make sure to provide the appropriate name of the defendants in the answer which should solve the concern. But you don't want to be relying on them taking that step when the statute of limitations has already expired. To defend lawsuits, Genesis has, in the past, hired Eccleston & Wolf, a law firm with offices in the District of Columbia, Maryland, and Virginia to represent the nursing homes. But how many of these cases go to trial? We cannot find a single report of a settlement or a verdict against Genesis Healthcare in Maryland. Do they never get sued? Of course not. Genesis is settling virtually all of the nursing home cases filed against it and putting strict confidentiality language in the settlements. In the past, Genesis has had a high self-retention which means it is playing most of its settlements and verdicts out of its own pocket. This makes sense when you think about it. If you are Genesis, you want to be able to settle cases on your terms as opposed to having to battle with the insurance company to get the claim resolved. As an aside, this is very good for the settlement value of nursing home cases. As a plaintiffs' lawyer, you always like defendants that are afraid to try a case because they often pay more for a claim than it is worth. The problem, however, is that their strategy works from a public relations standpoint. This lack of publicity of the mistakes that are causing suffering and death means further delay in how long it will take for America to finally wake up and demand more from our nursing homes. These are some verdicts and settlements involving Genesis Healthcare nursing homes around the country. Keep in mind that any attorney roundup of verdicts and settlements is going to be misleading on some level because these are not a list of random cases. But in nursing home cases, these type of samplings are even less illustrative of your average cases. Why? Like other nursing homes, Genesis is image conscious and does not like implicit (settlements) or explicit (verdicts) acknowledgment of their mistakes that get their residents hurt or killed. So they require, as we talk about above, attorneys and the victims to execute confidentiality clauses when the cases settle. Very few meritorious nursing home cases go to trial. Genesis certainly bends over backward to avoid courtroom in Maryland. Lawsuits against Genesis almost invariably reach an out-of-court settlement if they are not dismissed by the court. We were not able to find many Genesis verdicts and settlements. Is this in part because Genesis can hide its brand name from many verdicts. So it does not come up in these searches? We do not know. 2016, Pennsylvania: $625,000 Settlement. A man is a resident at Ambler, a nursing facility, for a year and a half. At the time he was admitted, he had a history of dementia, gout, and hypertension and used a walker. During his stay, he suffers pressure sores, MRSA, multiple falls, UTIs, dehydration, pneumonia, and malnutrition. One of his pressure sores becomes so bad that he is admitted to defendant hospital for it to be closed. During his stay at the hospital, he is not turned every two hours. His wounds worsen. He also develops a painful UTI that is not properly treated for a while at the hospital. His pressure sores become worse, his mental alertness decreases, and he suffers infections. He is then transferred to defendant Genesis nursing facility, in a frail state, requiring extensive daily assistance. While he is at the Genesis facility, his condition deteriorates, his wounds worsen, and he suffers aspiration pneumonia, falls, and infections. Two and a half months after he is admitted to the Genesis facility he passes away. His Estate alleges that all of the defendants failed to ensure that decedent did not sustain or develop serious injuries while at each facility and that all of the defendants failed to implement fall prevention and pressure sore measures. The parties settled before trial, with the Genesis facility paying the Estate $225,000, and the other facilities settled for $400,000. 2016, Pennsylvania: $800,000 Settlement. A female is admitted to a Genesis nursing home, unable to care for herself and suffering a traumatic brain injury, GERD, spinal stenosis, seizures, diabetes, DVA, and DVT. Admittedly, this is a patient that has a lot of co-morbidities. While at the facility, she develops pressure ulcers, acute renal failure, urosepsis, malnutrition, poor hygiene, and weight loss. Her Estate claims these injuries led to her death just five months after her admission. Her Estate alleges that the nursing home failed to complete paperwork to document the care the decedent needed and failed in ensuring that she did not suffer injury. The defendants deny negligence, but the parties settle for $800,000. February 2012, Pennsylvania: $400,000 Settlement: An elderly resident at Hamilton Arm Center-Facility, owned and operated by Genesis Healthcare, was transferred to a hospital after she was discovered with no pulse after choking on a piece of food. She was confirmed as having suffered a hypoxic brain injury and removed from life support two days later. During her stay at the hospital, it was discovered that she also suffered from several pressure ulcers that her family suspected were sustained while at the Genesis HealthCare facility. The woman’s estate sued Genesis Healthcare. The parties agreed to a $400,000 settlement. June 2010, Pennsylvania: $5 million Verdict: A 75-year-old man died after having experienced extremely negligent medical treatment. Repeatedly admitted back and forth between a Genesis Healthcare owned nursing home, and a northeast Philadelphia hospital, the man developed severe bedsores, followed by infections. He became seriously malnourished and dehydrated during his hospital and nursing home stays. According to medical experts, the bed sores directly led to his death. A jury awarded the family $5 million dollars in damages, in what is believed to be the first-ever punitive damages verdict in a Pennsylvania nursing home case. The Genesis nursing home was assessed $3.5 million, and the hospital was assessed $1.5 million. August 2008, Pennsylvania: $600,000 Settlement: Shortly after being admitted to a nursing home in Brackenridge, owned and operated by Genesis HealthCare, an elderly woman lost almost 30 pounds, experienced an outbreak of rashes, and experienced quite a few falls. One afternoon she was found lying on her floor with cuts on her right arm and forehead. She was noted as hypotensive and transferred to Allegheny Valley Hospital. Unfortunately, she died a month later. Her son sued Genesis Healthcare claiming the defendants managed the facility without concern for the health and safety for the residents and was only concerned about maximizing their profits. The parties agreed to a $600,000 out-of-court resolution. December 2007, Pennsylvania: $3,500,000 Verdict: An 88-year-old man fell and broke his hip while he was a resident at Mayo Center, owned and operated by Genesis HealthCare, in Philadelphia. After his fall, he was immobilized and required staff assistance at least every two hours. For some reason, Genesis was unable to provide such care. He consequently developed pressure ulcers to his left heel and sacrum. A few months later he was found unresponsive after choking to death. His wife sued Genesis HealthCare, claiming the Defendant failed to monitor properly and care for her husband. Plaintiff’s expert testified the Defendant breached the standard of care by failing to evaluate and clean the decedent’s pressure ulcers. Witnesses testified the odor from the wounds was so pungent that they could smell them from the hallway. Just awful. Plaintiff also alleged that decedent experienced multiple falls, but they were not properly investigated. More globally, the plaintiff's attorney argued that the core of the problem was the facility’s lack of adequate staff as well as inadequate supplies due to Genesis’ budgeting decisions. Defendants denied all allegations, arguing that the decedent was in the end stage of Alzheimer’s, and his ulcers were a natural part of dying. This is a pretty awful defense. The jury apparently agreed and awarded $3,500,000. Can you see why Genesis avoids jury verdicts? January 2006, New Jersey: $300,000 Settlement: A nursing home negligence suit was brought against Genesis HealthCare after a 72-year-old terminal breast cancer patient died from a Stage 4 ulcer that had tunneled under her breast. Plaintiffs claimed the physicians neglected to clean the decedent’s wounds the appropriate amount of times, and failed to administer morphine before dressing wounds. During deposition, a supervising nurse admitted to once having sprayed disinfectant at the patient. Defendants claimed the action was an accident. Plaintiffs also claimed the nursing home was unable to produce records that covered a several day period. Defendants claimed the missing records were merely a clerical error. Defendants also argued that any pain suffered by the decedent was created from terminal cancer and not from negligence. The parties settled the claim before trial for $300,000. March 2002, Washington: $ 800,000 Settlement: A 92-year-old woman in generally good health was admitted into a nursing facility operated by Genesis Healthcare. About a month into her stay she began to experience abdominal pain, weight loss, and dehydration. Within two weeks she began vomiting green bile and refusing all meals. The facility did not document an assessment of the pain, and the family had to practically beg them to call 911. The family elected to remove their loved one from the facility, but she, unfortunately, died from renal failure and pancreatitis the following week. Her estate sued Genesis, claiming the Defendants failed to follow the appropriate care plan with proper medication and record maintenance. The parties agreed to settle for $800,000. If you or someone you love was a resident at a Genesis Healthcare facility and was hurt or killed by the negligence of this company, call our nursing home lawyers at 800-553-8082 for a free Internet consultation to discuss your litigation or settlement options.